I've got to admit that is one fine looking flashlight. Neat! Shouldn't the arms of the burner be fore and aft instead of sideways? That is absolutely wonderful. I have seen them a time or two. It is a delight each time. 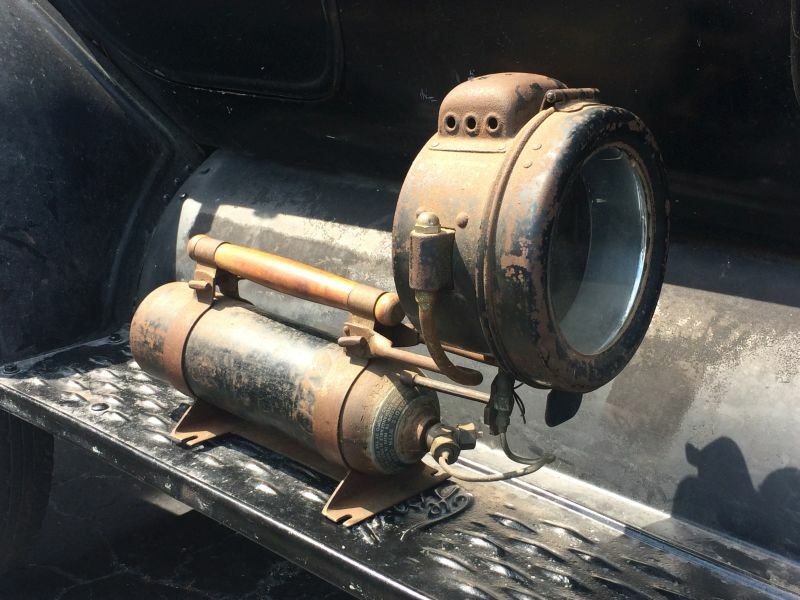 A really neat portable light probably by the Victor company with a MC tank. There was one on ebay this week and quite pricey when you do see them! The "Cincinnati-Victor" oval logo on the top of the bonnet is usually stamped so light as to be illegible (the paint fills it in). 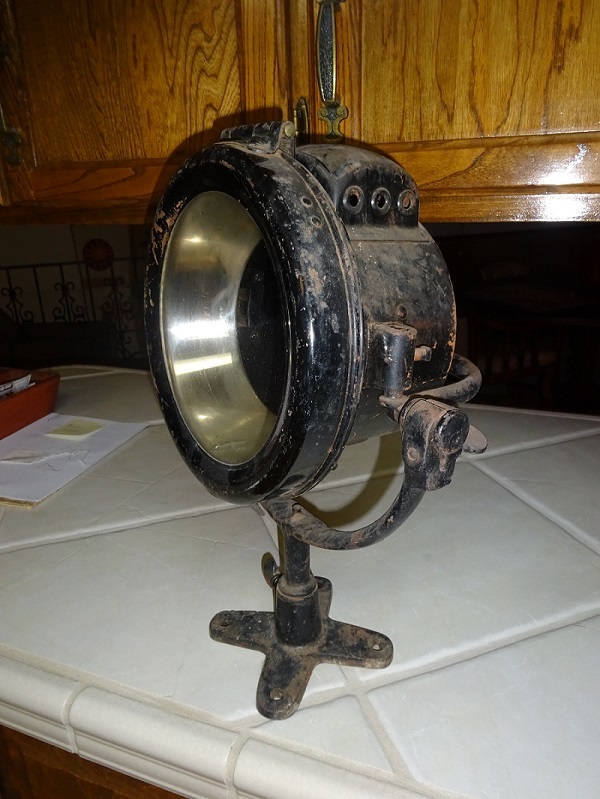 Here is a little bit bigger 6-inch mirror lamp set up by Victor as a search light. Looks like it could have been used in it's day as a demountable headlamp on a mining tram. I have a bottle with the same exact handle, straps and wing nuts / T bolts. No light bracket or feet though. I told you that you would have that going in no time and on the running board but remember not to use it to find a gas leak after dark. 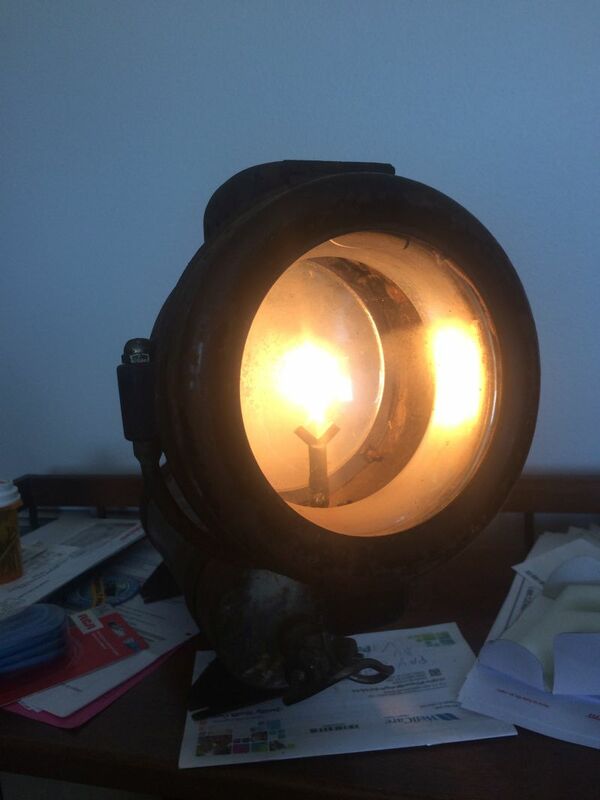 ....I have an irrational want for such a lamp now. There is such thing as an irrational want! When it gets to an IW it is a I can�t live without it. Wow ... that is (as the 'kids' say) .... 'Way Cool!!!" Do you have trouble finding someone to fill the tank?